Forum Pharmaceuticals (formerly EnVivo Pharmaceuticals) is committed to the discovery and long-term development of innovative drugs that improve function and change the course of disease in patients with neurologically based disorders and illnesses including schizophrenia, dementia, and Alzheimer’s disease. To best support the company’s growth, Forum needed lab and supportive research space that would promote a more collaborative environment and set the stage for a strong pipeline and breakthrough work. Redgate provided comprehensive project management services as an extension of the Forum team, assisting in site evaluation and selection, lease negotiations, and the fit out of new offices and lab spaces. 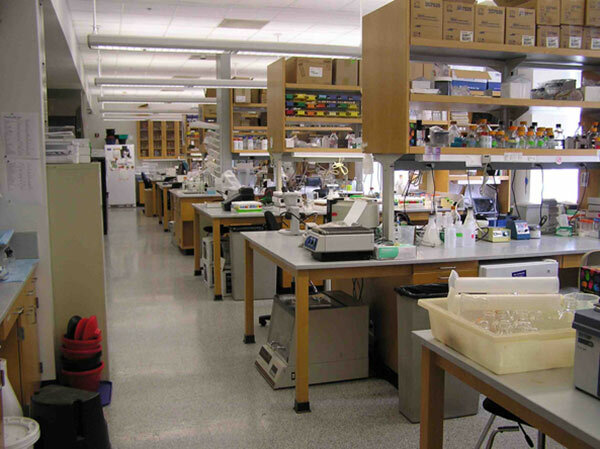 The project consolidates two locations in Watertown and Boston to one location in Waltham, MA, and provides labs and office areas to serve a range of researcher, support, and business needs for over 400 employees. The facility also includes an Animal Care Facility of roughly 9,000 SF. The project was delivered via a design/build process.